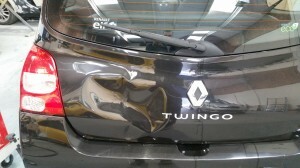 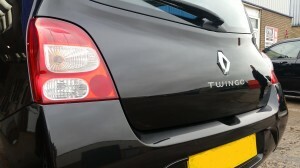 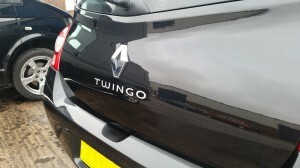 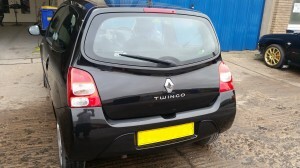 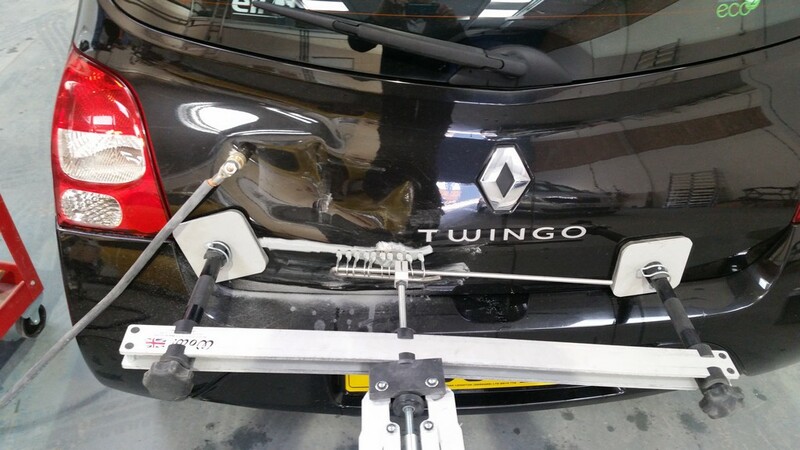 This Twingo was damaged to the point that it almost required a new tailgate, But with our miracle pull system we managed to save the tailgate and the customer a lot of money ! 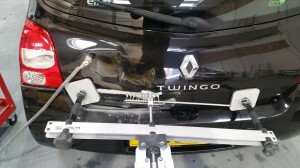 During the repair with the miracle puller attached. After the repair waiting for the customer to collect!